The Insurance Institute for Highway Safety has announced that the 2011 Honda Odyssey, Buick Enclave, Chevrolet Traverse and GMC Acadia have all been named Top Safety Picks, the organization's highest honor. 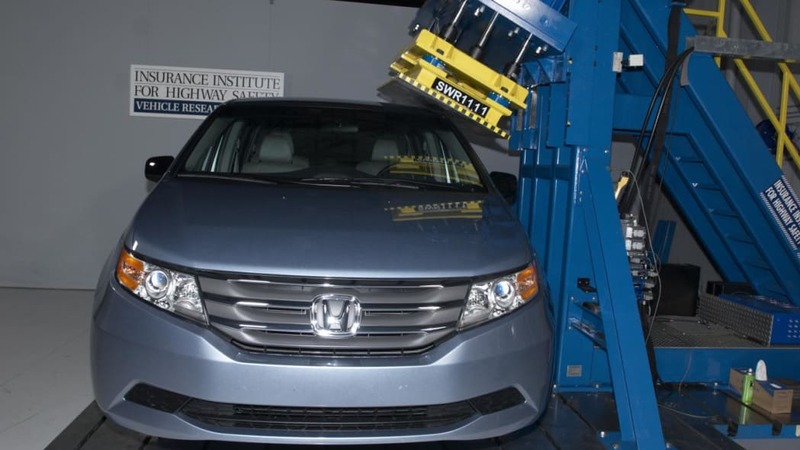 The Odyssey is the second minivan to earn the award since IIHS added roof strength requirements to its criteria for earning the Top Safety Pick designation, the other being the Toyota Sienna. Since the Honda minivan had already been tested and rated Good for front, side and rear crash protection, only the roof strength measurement was required this time around. 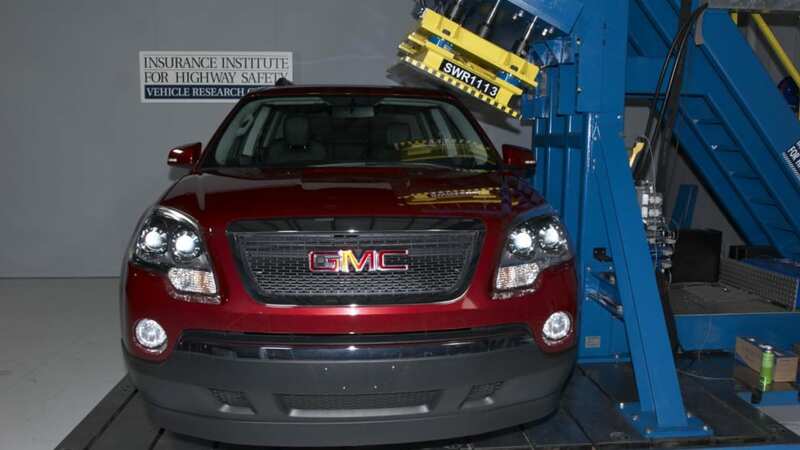 Similarly, the GMC Acadia was only tested for roof strength as it had already passed the previous crash-testing regimen. The Odyssey's roof withstood a force more than five times the minivan's weight; the Acadia managed four times its weight. To put this in context, a vehicle's roof must be able to withstand 1.5 times its weight to pass the more lenient federal testing standards. 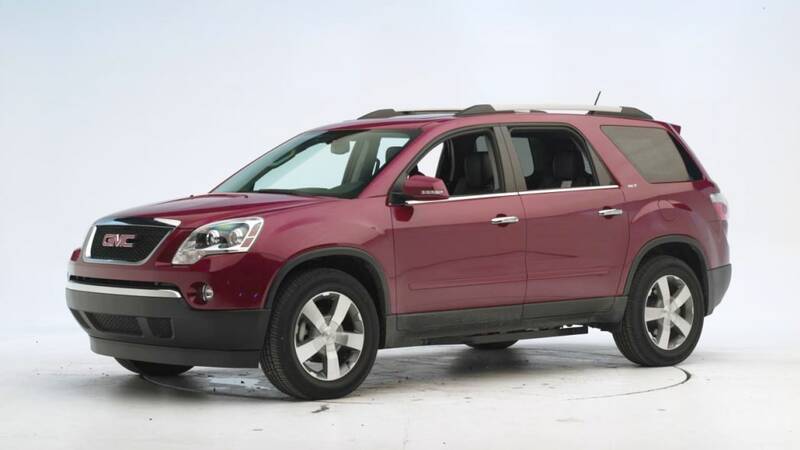 Because the Chevrolet Traverse and Buick Enclave share their architecture with the tested GMC Acadia, those vehicles were also awarded Top Safety Picks. See the photos of the roof testing below and the press release after the break. After earning the top rating of good for roof strength, the Honda Odyssey minivan, and 3 large GM SUVs (GMC Acadia, Chevrolet Traverse, and Buick Enclave) become the latest 2011 Top Safety Pick winners. 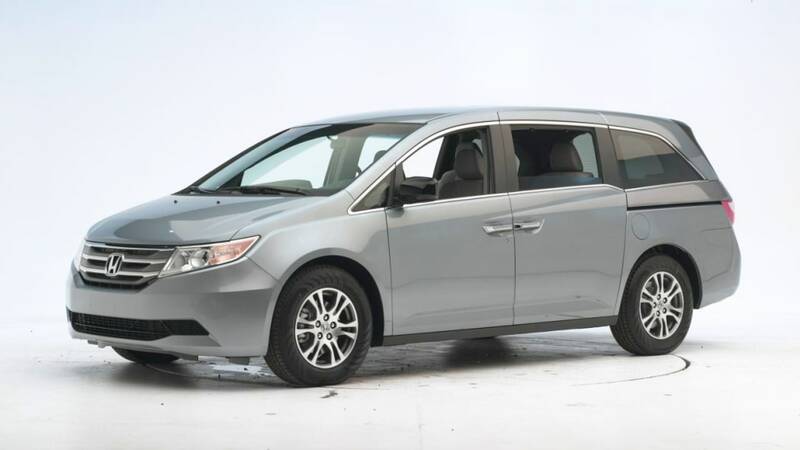 The Odyssey is the second minivan to earn Top Safety Pick since the Institute tightened the criteria to include good performance for roof strength in rollover crashes (the other is the Toyota Sienna). These vehicles earlier earned good ratings for front, side, and rear crash protection. In the latest tests, the roof of the Odyssey withstood a force more than 5 times the minivan's weight. The Acadia's roof withstood a force equal to 4 times weight. By comparison, the current federal standard is 1.5 times weight. Top Safety Pick only applies to Acadia, Traverse, and Enclave models manufactured after January 2011, because GM made running changes to improve roof strength for these models. In addition to good crash test ratings in all 4 Institute tests, award winners must have electronic stability control (ESC), an important crash-avoidance feature.